One thing I appreciate about my work is the weekend downtime it gives me most of the time. What's not to love on weekends? I love that I get to wake up very late or spend time on my own and do things that make me happy. However, when I started blogging, I usually spend my weekends on events which I find as a very good opportunity for learning and discovering something new. 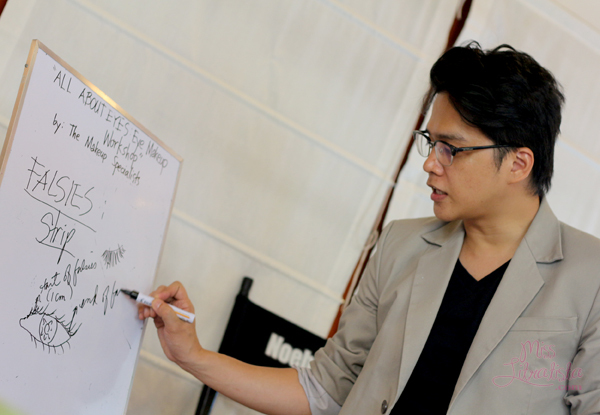 It was another productive weekend last May 25, 2013 when I joined the It's All About The Eyes Make-up Workshop by make-up artists Ryan G. Wong and Noeh A. Jani of The Makeup Specialists. 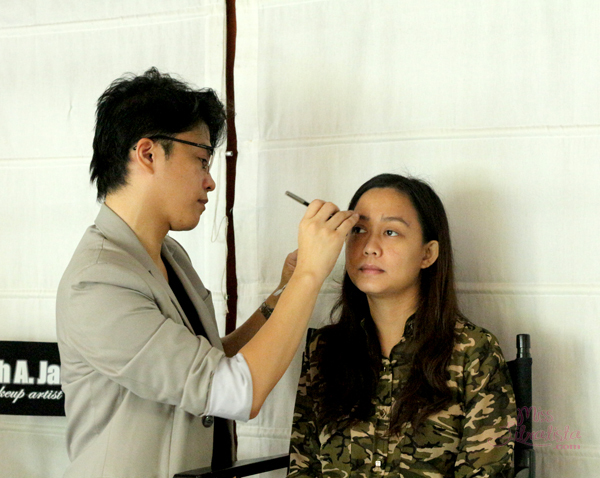 It wasn't the first time to meet these two very talented and skillful make-up experts as I was also a participant in their personal makeup workshop last January. This workshop is way different from the previous makeup workshops I've attended because this solely focused on THE EYES. The eyes are considered to be our windows to our souls and the very first thing that also grabs one's attention when you look into someone else's face. Therefore, it is very important that you always keep your eyes, and the parts around it, always look at its best inside and out. The session started first with the eyebrows. 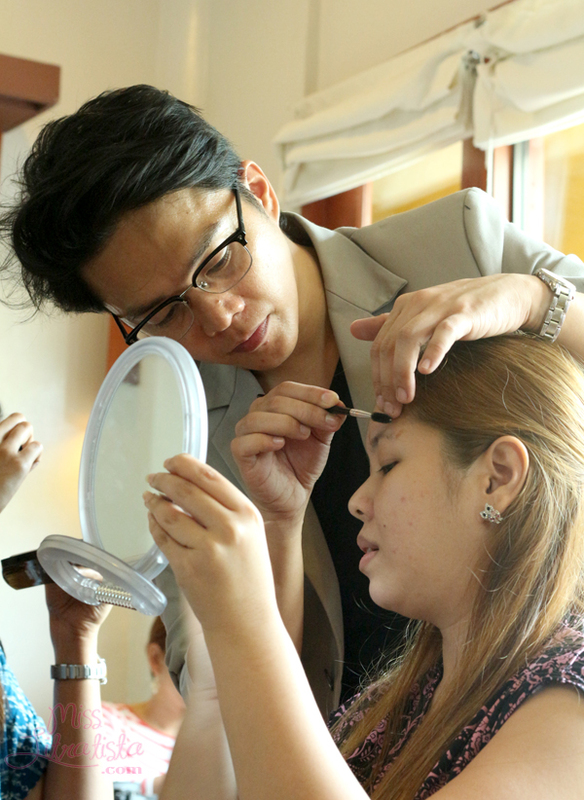 Ryan and Noeh demonstrated the proper grooming and shaping of eyebrows and allowed us to do it on our own, too. In fact, it consumed almost 2 hours to do it on our own but remember not to take our eyebrows for granted because it can make or break your look, so take time to master the art of making the perfect brows. 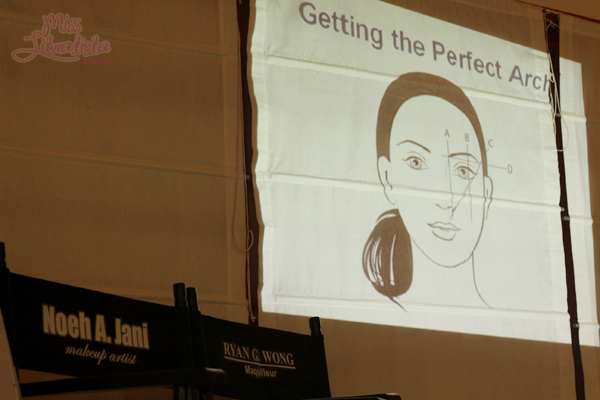 Ryan Wong demonstrating the correct shaping of the eyebrows. 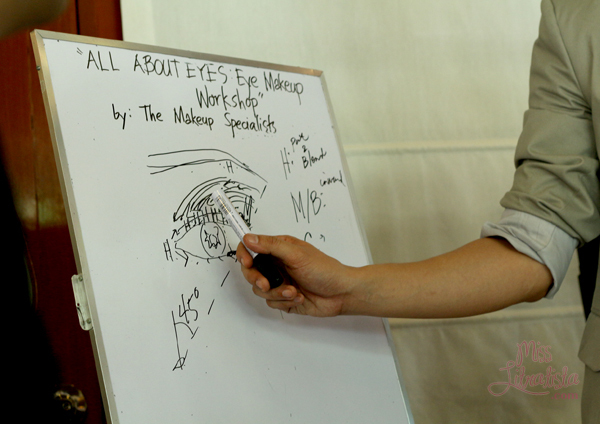 After the brow sessions which I definitely loved, Ryan and Noeh talked about eye shapes and eye shadow application in details. 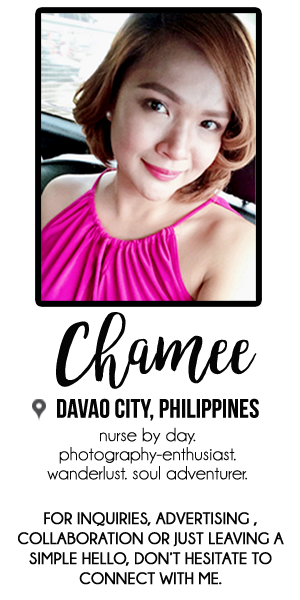 It is also significant to identify your eye shape so that you'll be able to know what kind and blend of eye shadow makeup will look best in you. After the lecture, we proceeded to doing our own eye makeup. 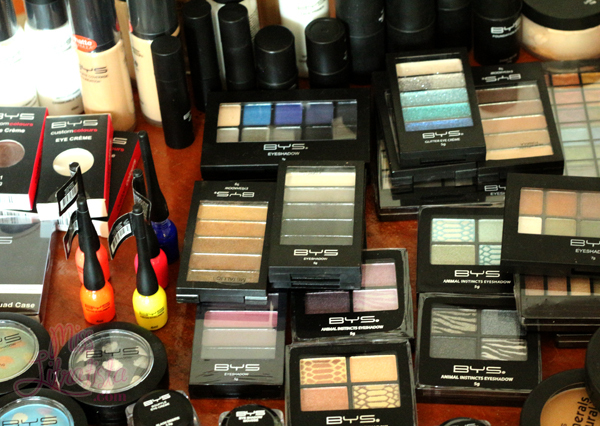 The real art of eyeshadow application. Eye shadow application was actually a struggle for me in the beginning. 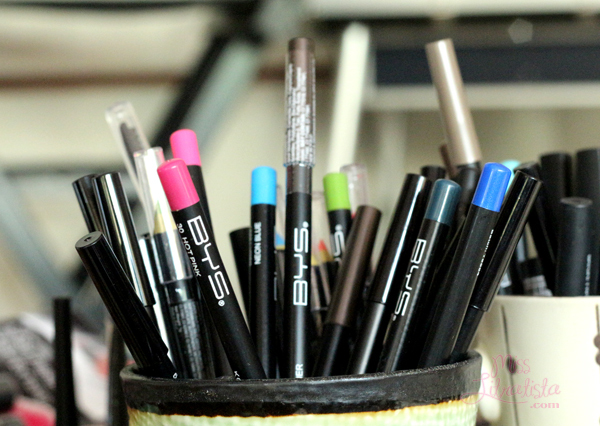 You can't just pat color anywhere, you have to master the art of blending. Blend... blend... blend. 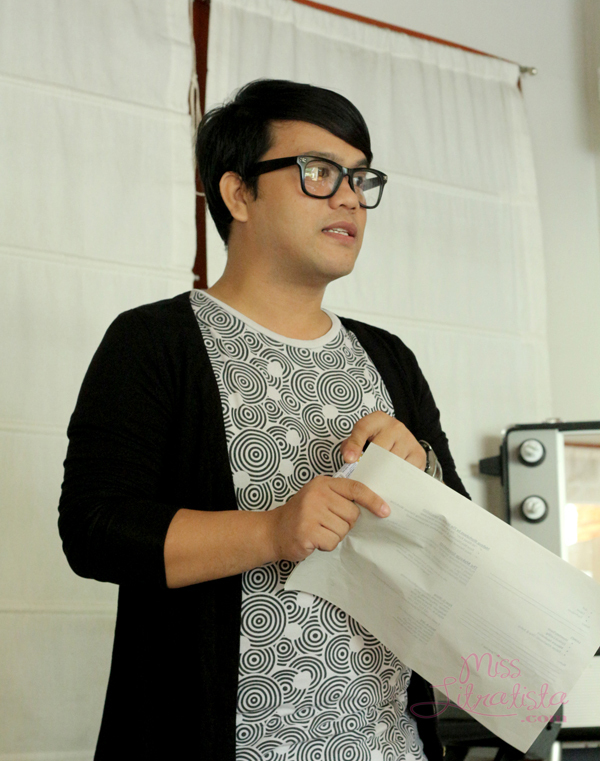 Sir Noeh and Ryan also showed us how to create smokey eyes from eye liner pencils. It's just simply amazing! Ryan discussing the correct application of falsies. 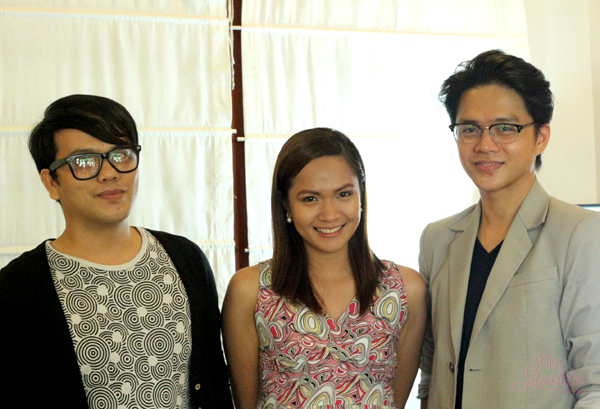 It was indeed a productive Saturday for and the other bloggers who joined. 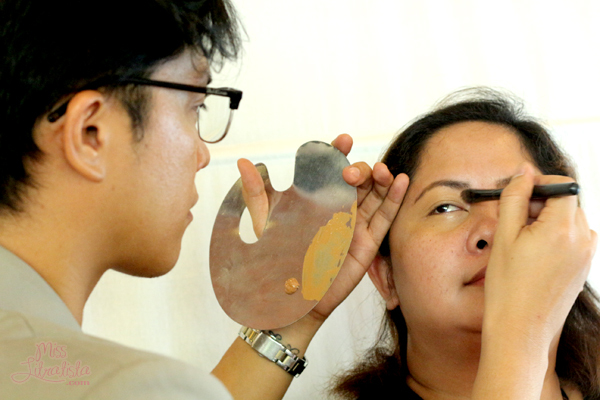 For those who want to learn more about proper eye makeup application, Sir Ryan and Sir Noeh of The Makeup Specialists are currently conducting this seminar. To be updated of future seminar schedules, you may check down the Facebook page of Mr. Ryan G. Wong and Mr. Noeh A. Jani. 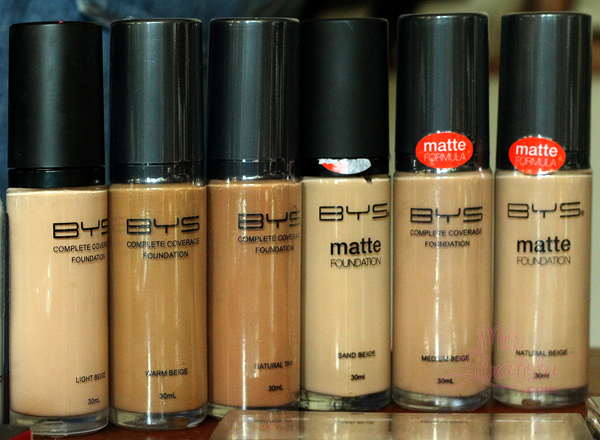 And of course, the success of this workshop would not be made possible if not for the products sent by BYS Philippines. 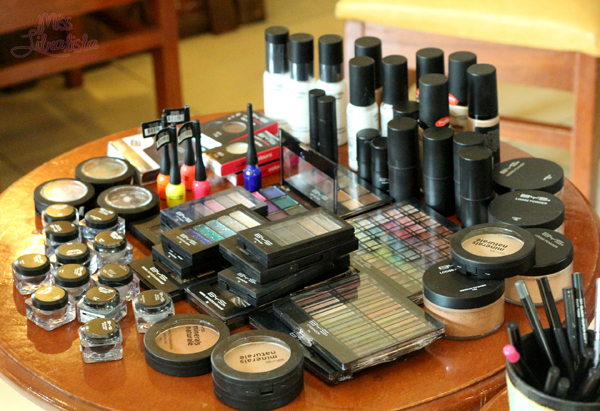 Participants were able to take home a few of their products and on the first try, I fell in love with it. Thank you very much BYS Philippines! 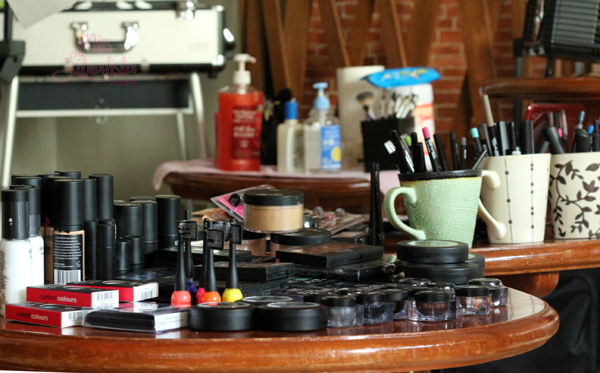 Thank you The Makeup Specialists, BYS Philippines, Yellow Hauz Coffee Shop and Davao Lady Bloggers for organizing this event. 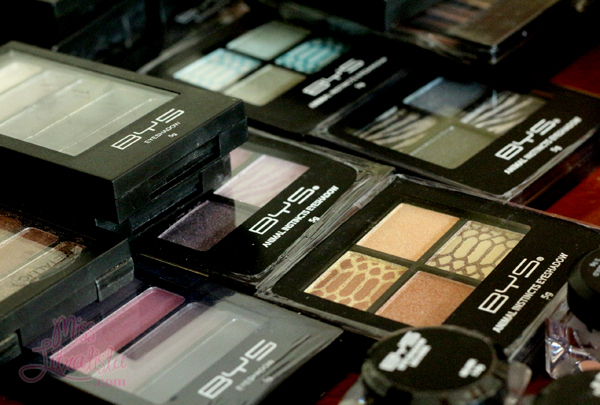 Curious about the latest makeup products from BYS Philippines? 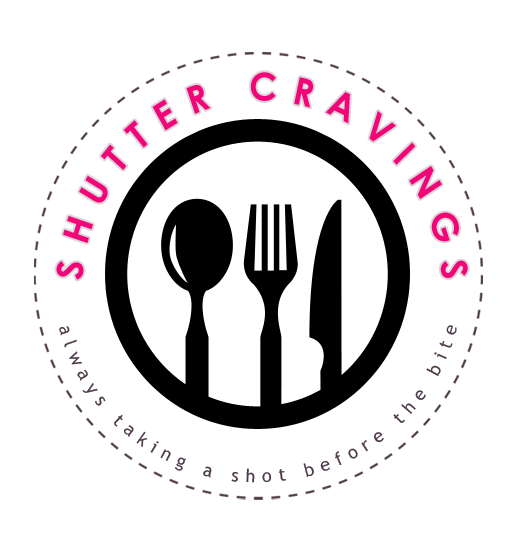 Keep on droppig by my blog because I'll sharing my thoughts on them SOON! Oh It must've been super interesting! I like that they focused on the eyes, I think is one of the most difficult things to do when it comes to make up, a great eye make up can totally change the eyes and features.